The one integral player not mentioned in "Casey at the Bat" is the catcher, receiver of the three strikes that got by Mighty Casey. This visual interpretation of the poem addresses that omission. At the time of the poem's publication in the 1880's, gloves were just beginning to be standard equipment on the field. A player behind the plate may have only had a modified work glove to protect himself. A generation later, the 1910's, when catchers wore big mitts and 'Casey' was still popularly performed on stage and radio -- and just after publication of a sequel to the famous poem in which Casey gets his revenge -- is the setting for this triptych. 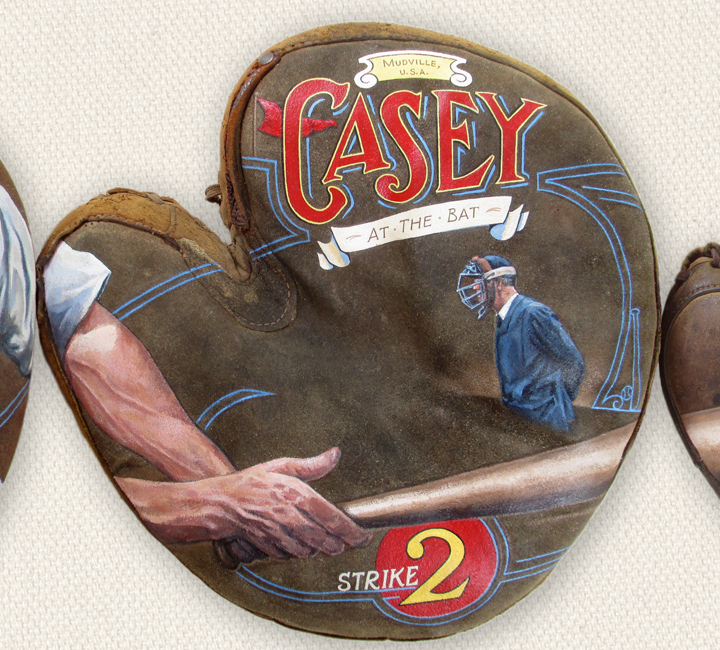 The three, century-old gloves used in the artwork help transport us to that era while reminding us of the presence behind the plate catching "Casey at the Bat". 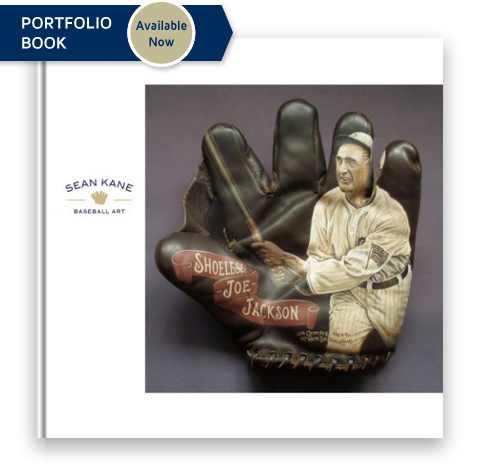 This baseball glove painting is in the collection of The National Pastime Museum, an online museum based on a private collection of baseball artifacts. 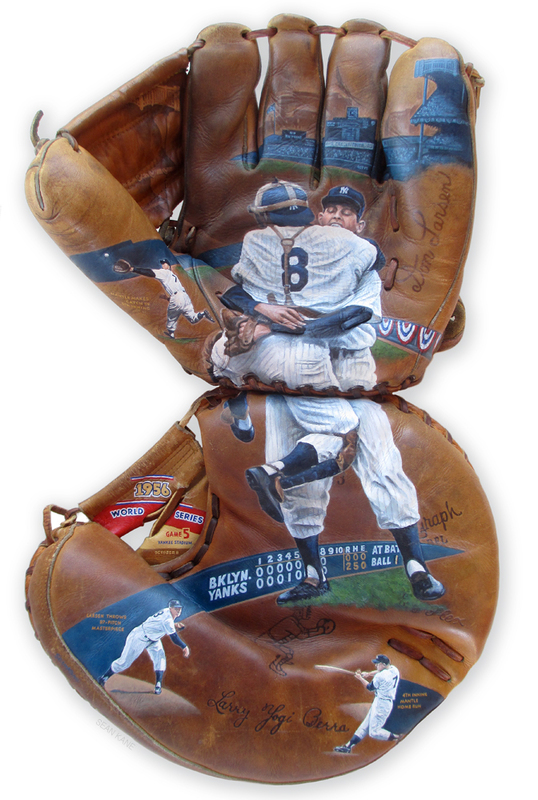 Interested in adding a glove painting to your collection or giving as a gift? 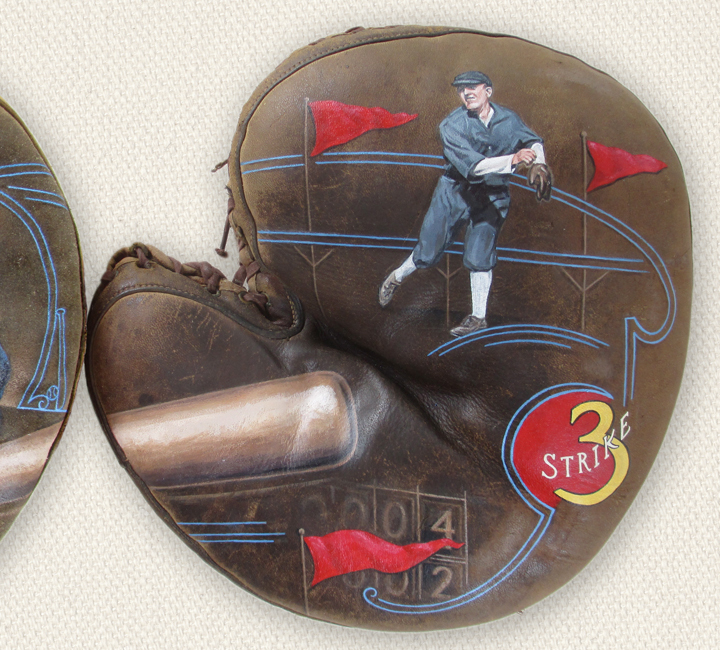 I can create custom baseball glove artwork. Just Let Me Know.